Rhode Island Landlord Tenant Laws are set forth in Title 34, Chapter 18, Residential Landlord and Tenant Act. The Rhode Island Residential Landlord and Tenant Act governs the rights and responsibilities of parties to a Rhode Island landlord-tenant relationship and specifies remedies should either party violate terms of the rental agreement or any statutes of Rhode Island Landlord Tenant Laws. No part of this information is meant to substitute for legal advice. If you have questions or believe you may have a claim under Rhode Island Landlord Tenant Law, you should seek the legal advice of an attorney. Stay up to date on Rhode Island Landlord Tenant Laws + Save money on tenant screening and other property management needs. Join AAOA today, it’s FREE! Landlords may require tenants to pay a security deposit but there is a primary exception, as stated in § 34-18-19 Security deposits: “(a) A landlord may not demand or receive a security deposit, however denominated, in an amount or value in excess of one month’s periodic rent.” When the tenant moves out, the security deposit is returned to the tenant, less any unpaid rent or damages caused by the tenant. According to Rhode Island Landlord Tenant Laws, the landlord may not deduct any monies from the security deposit for ordinary wear and tear. A landlord must itemize any deductions from the security deposit and put those deductions in writing. The landlord “shall deliver the notice, together with the amount of the security deposit due to the tenant, within twenty (20) days after the later of either termination of the tenancy, delivery of possession, or the tenant’s providing the landlord with a forwarding address for the purpose of receiving the security deposit.” This is another example of how Rhode Island Landlord Forms are crucial for landlords to have on hand. The Disposition of Security Deposit Form would suffice to comply with the Rhode Island Landlord Tenant Laws requirement to give written itemized disposition and deductions from the security deposit. Both landlords and tenants are required to abide by Rhode Island Landlord Tenant Law, which details the rights and responsibilities of both parties. Failure to abide by any part of Rhode Island Landlord Tenant Law can result in the filing of a breach of the residential agreement terms or of landlord tenant laws. Landlords are required to maintain the premises in safe and habitable condition, to make all repairs in a reasonable time period and to keep all electrical, plumbing, fixtures and appliances in good working order. If a landlord or the landlord’s agents undertakes any alterations or renovations to an existing property and it is determined that the landlord knew or should have known that such alterations “violate the applicable state and/or local zoning laws and/or state or local minimum housing codes, the landlord shall be responsible to pay the moving costs of any tenants required to move from any of the apartments because of the nonconformity of the apartments with the law.” The landlord is only required to pay tenant moving expenses to another property within the same city or town where the property in violation is located. Tenants are required to maintain the premises in safe and sanitary condition, to pay rent on time and to not deface, damage or destroy any part of the premises or allow their guests to do so. Under Rhode Island Landlord Tenant Law § 34-18-24 (8) tenants must “Refrain from using any part of the premises in a manner such as would constitute the maintaining of a narcotics nuisance under the provisions of § 21-28-4.06.” Rhode Island Landlord Tenant Laws also require that tenants “refrain from any crime of violence on the premises or on any public property adjacent to said premises.” Tenants are also required to surrender the premises at the end of the rental term. Rhode Island Landlord Tenant Laws do not permit tenants to just stop paying rent when a landlord fails to make repairs or violates any other provision of the Landlord Tenant Act. If a tenant alleges a claim as a counter-defense to a claim for non-payment of rent, the court may order that rent is paid to the court until the court decides the case. If a landlord makes an unlawful entry into the property or abuses the right of access, a tenant “may obtain injunctive relief to prevent the recurrence of the conduct or terminate the rental agreement,” under Rhode Island Landlord Tenant Law. When you have Rhode Island Tenant Screening and landlord forms available, you are protecting your reputation and taking care of your responsibility to provide tenants with proper documents throughout the tenancy. A key component of landlord tenant laws is also Rhode Island Tenant Screening Background Checks. We’ve dedicated an entire page to it because of its importance. 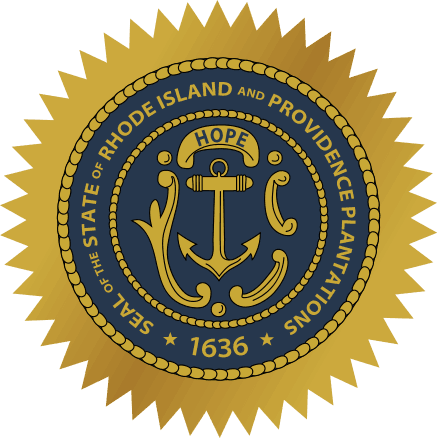 Visit Rhode Island Tenant Screening Background Checks to screen your tenant. All states require a variety of forms to rent an apartment to a tenant and Rhode Island is no exception. Check out American Apartment Owners Association’s Rhode Island Landlord Forms now. landlord tenant laws, click here.